National Philanthropy Day in Maryland pays tribute to the invaluable contributions that philanthropy has made to our personal lives, our nation, and the world. This year, the annual event took place Tuesday, November 10, 2015 at the Baltimore Marriott in Harbor East hosted by AFP Maryland. This annual event acknowledges the entire spectrum of services provided by the nonprofit community and recognizes the profound impact that philanthropy has on the quality of our lives and the fabric of our society. 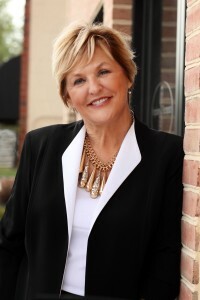 Symphony Placements is proud to announce, our CEO Founder Wanda Smith received the Outstanding Volunteer Award for her continued involvement with Casey Cares Foundation and an Advisory Board Member. “Children are the heart of our world and since my days as a Girl Scout I have always felt compelled to raise awareness and help others” statement by Wanda Smith. Each year the Baltimore Business Journal “BBJ” named the Top 50 Fastest Growing Privately Owned Businesses in the Greater Baltimore Region. BBJ features “The List” in the weekly publication and the 2015 list was compiled from companies featured January thru August 2015. Companies are ranked by percentage of growth based on 2013 to 2014 revenues. November 7 2015 the Fastest 50 is proud to announce Symphony Placements Ranked 17 on The List. “This is the first year Symphony Placements was selected and we could not be more thrilled with this prestigious honor” statement made by Wanda Smith, CEO Founder of Symphony Placements.